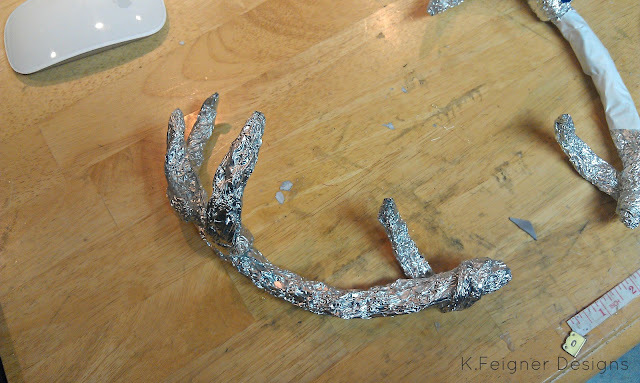 The Crafty Housewife: How to Make Antlers! 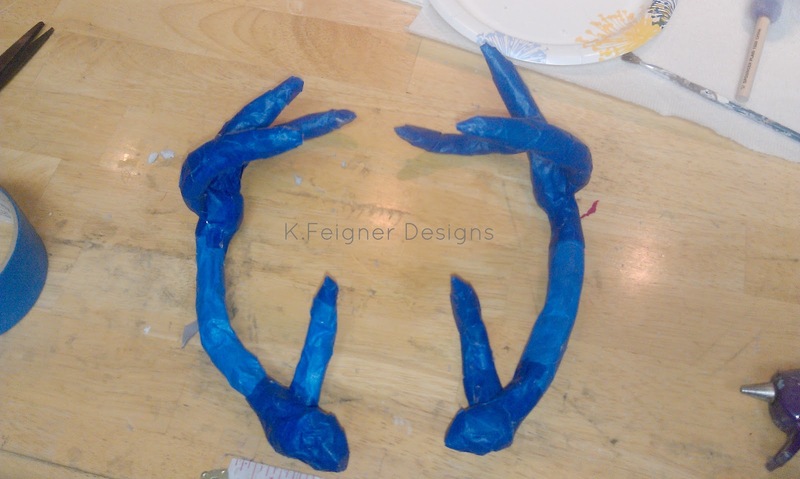 I know cheap and laziness isn't a good combo, but as they say "necessity is the mother of all invention" and combined with my cheapness and laziness I came up with a super simple & easy way to make some antlers. Now you may be wondering "why?". No it's not for Halloween, although I am tempted to wear them for Halloween. But they are a prop for one of the dances the folkloric dance team is working on. I had seen the real prop that is supposed to go with this dance but they wanted $450!! Um....how about no. So for now (until I become a billionaire) this will be perfect! And plus did I mention my version was FREE! So without anymore babbling here is how I made them. 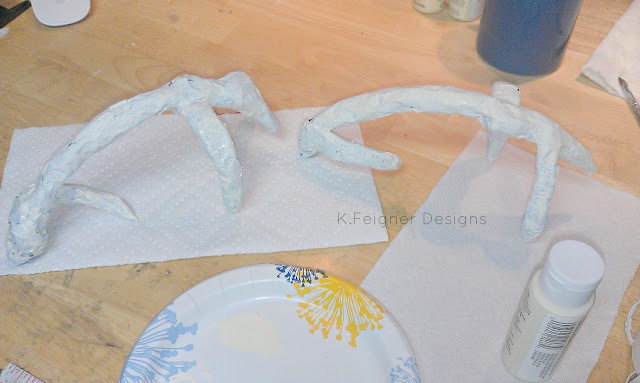 First map out what you want your antlers to look like and about how big you want them. Once you are done taping them they should look like this! Now comes the paint! 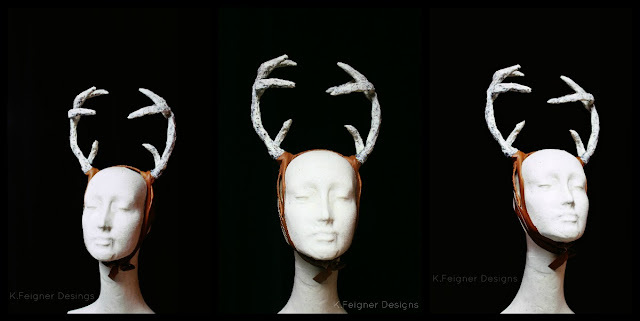 so start painting your antlers the way you want them. 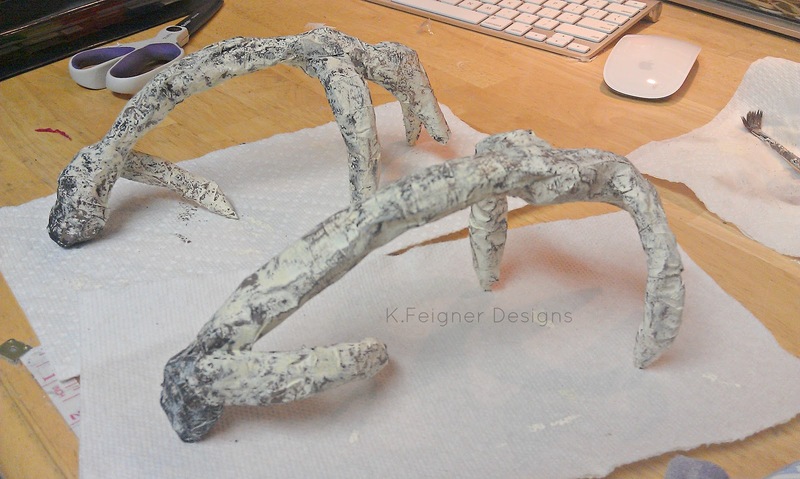 It took about 2 coats of the light ivory paint for it to cover all traces of the blue tape. Then I added browns and darker ivories to them. Now set your antlers to the side and wait for them to completely dry. 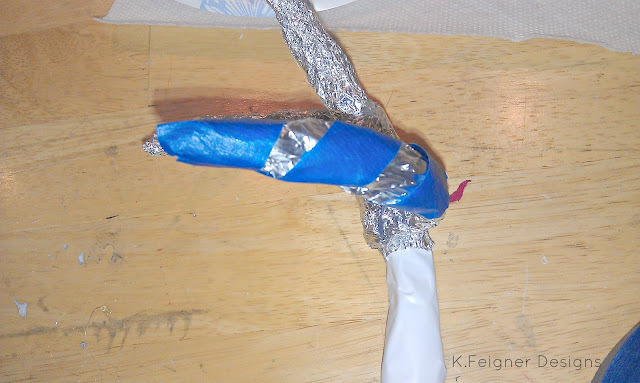 After they are completely dry take about a 12 inch length of your wire (sorry I forgot to take pictures of the rest of the steps) and push it through the bottom of your antler so you have an even amount of wire on both sides of the antler. Once you are done wrapping the wire around the antler and the headband start on the second antler. Now that you have both of your antlers wire wrapped to the headband slide the antlers around on the headband until you like their position. 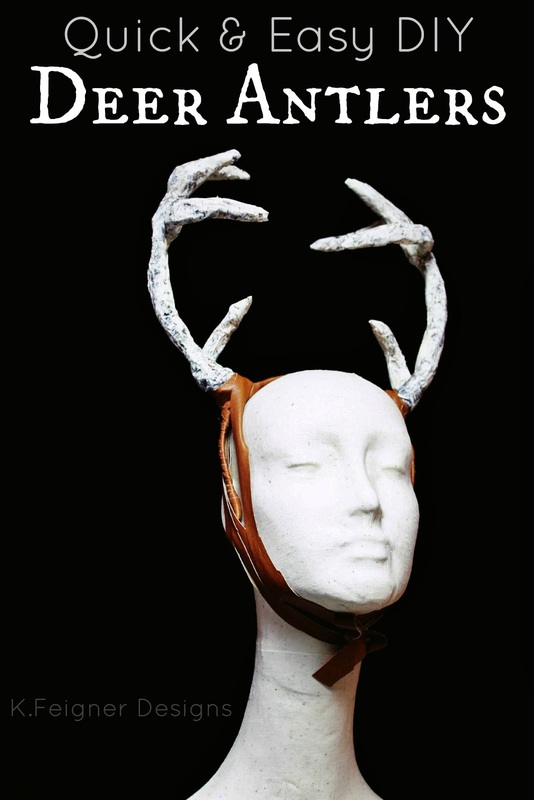 Now take your strips of fabric and start wrapping it around the headband making sure you hot glue as you go and to cover as much of the wire at the antlers as possible. Once you are finished wrapping the headband in fabric you can leave it like that and you are finished! I have to admit these are so creep-tastic that I love them. You did a great job on constructing them. Perfect for a hunter's wife. Thanks for sharing. Sugar Skulls & Day of The Dead!